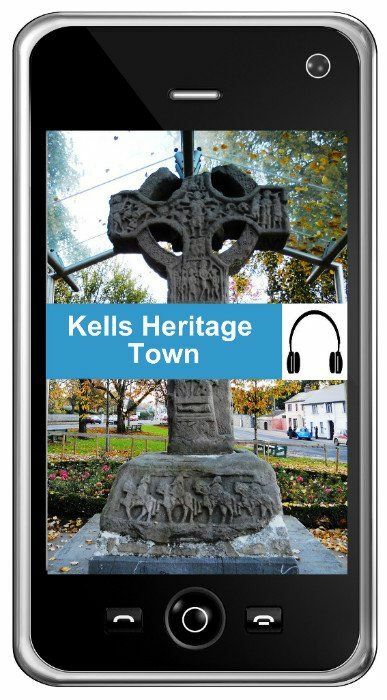 A short trip from Kells will bring you to the 7th century monastery founded by Ciaran the Pious, which contains High Crosses, an Ogham Stone and more. 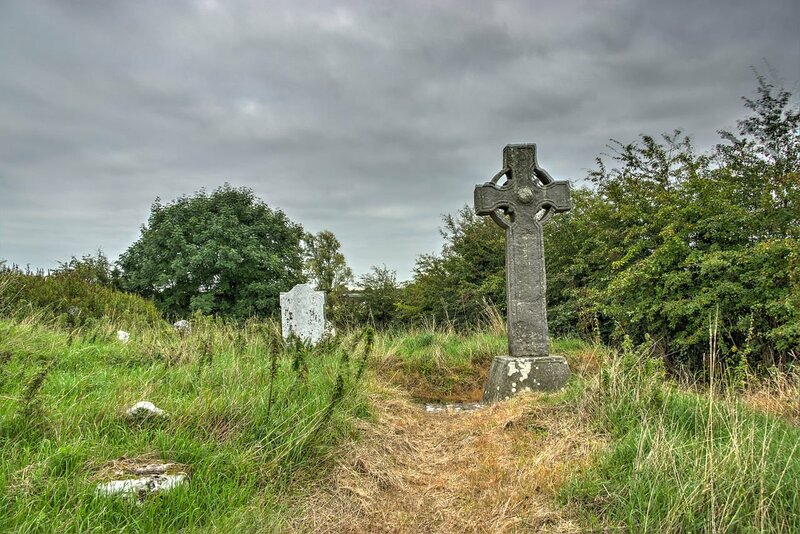 There are three sandstone high crosses with a fourth in the river - according to legend, St. Columcille was caught stealing the cross by Ciarán and quickly dumped the cross in the river! 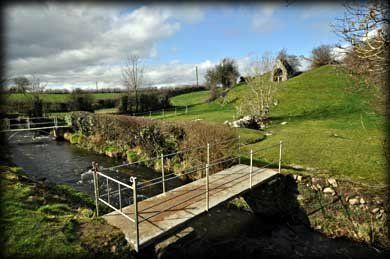 Further down the road you will find St. Ciaran's Well - where legend tells us that the wells were formed at St. Ciaran's command and have healing powers. This well was sacred long before St Ciaran arrived in the area. 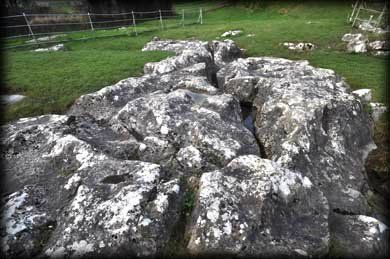 Three cooked fish are said to appear in the well at midnight on the first Saturday of August, which is the patron day of Ciaran. 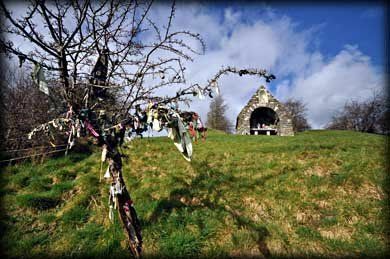 At Ciaran's Well, there is a large stone Oratory on the top of the hill, erected in 1913, the river with its two bridges, the rocks and trees and Sir William Wilde described it "As perhaps the most beautiful holy well in Ireland". The waters at Ciaran's Well carry special healing powers, the water in one of the pools is said to have been the cure of headaches, toothaches and sore throats. Bathing feet in the tiny stream that flows from the well is said to preserve them from soreness during the coming year and healing of warts. Near the well there is a chair that is said to have the impression of the saint's back, and is believed to cure back ailments. A festival is held here every year at the first Sunday in August.